Now that summer is upon us, (well hopefully) it's that time when most of us show more of our bodies than normal, I don't mean I run round naked, now that would not be a pleasant sight! But I have been known to get my legs out on occasion during the warmer weather and my wardrobe changes from long sleeved tops and jumpers to short sleeved items, t-shirts and vest type tops and because of all this showing of flesh that hardly sees the light of day I like my skin to look its best. As you know I have dry skin and very sensitive eczema prone skin too, it is the bane of my life and if I didn't look after it it would look absolutely terrible. I use lots of products to try and keep the dry skin on my face at bay but have never really settled on a body care routine, usually using what ever is on offer at the supermarket or what's lurking in the bottom of the bathroom drawers. 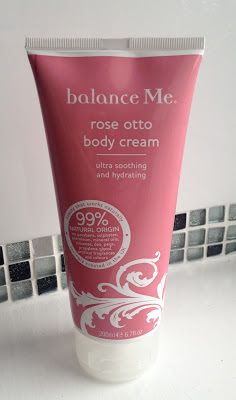 I was kindly sent the Balance Me Rose Otto Body Cream to try a couple of weeks ago and have been using since so I could let you all know my thoughts. 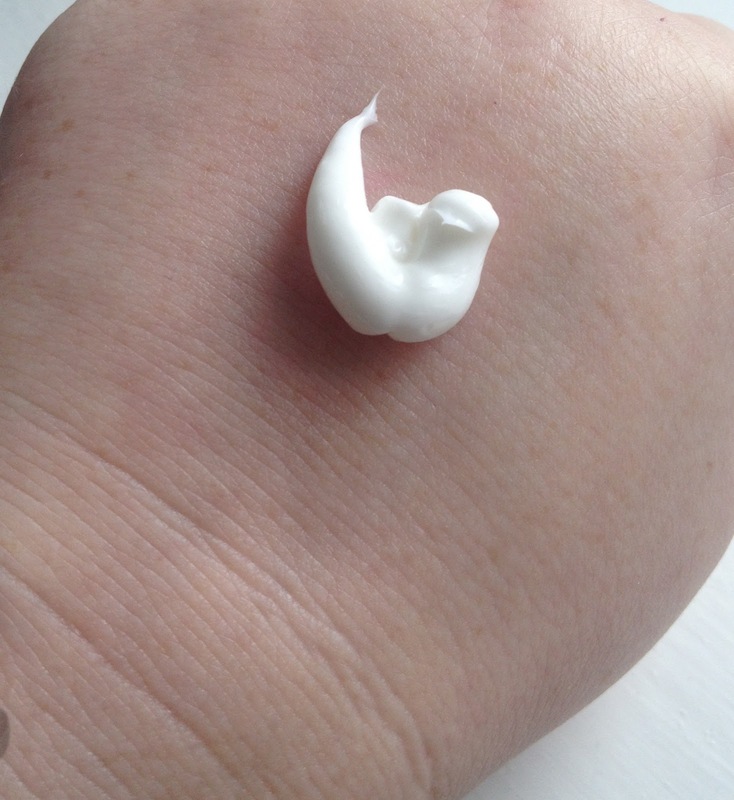 This award winning body cream has a lovely texture, it isn't greasy, or too thin or too thick it has a lovely consistency, and rubs easily and nicely into the skin, you only need a small amount as a little goes a long way, and it has a lovely rose scent that isn't overpowering at all like I have found with some other body creams I have tried. Another great thing I found with this body cream is that I didn't have to sit on the edge of my bed for ages waiting for it to dry so I could get dressed, don't you just hate that? It sinks into the skin very nicely. The Rose Otto body cream is excellent for sensitive skins, it didn't irritate my skin at all, it feels amazing and my skin felt so smooth and hydrated after I'd used it and there is a definite difference to my skin since using it. Balance Me is a fantastic company and their products have amazing ingredients and don't contain parabens, mineral oil, sulphates, petroleum or any other nasties and they also have no artificial colours or fragrance in them, this is something that is especially important to me when choosing beauty products. The Rose Otto body cream has some lovely ingredients including lotus flower extract, camellia oils, rosehip oil, aloe vera, rose otto, palma rosa and rose geranium all lovely ingredients and no wonder the cream smells so amazing either. I would definitely recommend the Rose Otto body cream, it leaves my skin feeling fantastic, it's just a shame the sunshine has disappeared again and it's cold, but at least I know that when the sun makes an appearance once again I will be able to show my arms and legs with the confidence that they look nice, thank you Balance Me! If you would like to try the Rose Otto body cream or check out the other Rose Otto products available or you want to find out what other amazing products are available from Balance Me, their website is www.balanceme.co.uk I'm sure you won't be disappointed. Have you tried the Rose Otto Range or any other Balance Me products? What are your favourites? Do you use a body cream?